A family day in Llandudno, not even suggested by me, just happened to coincide with Llandudno playing at home. 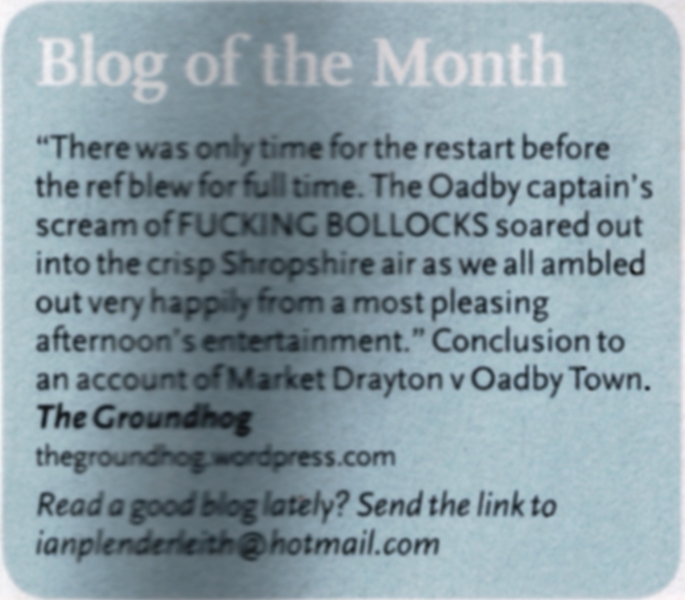 Honest M’lud. I’d wanted to do Maesdu Park for a while but the nigh on 100 miles distance had put it on the back burner. Now we were going anyway, me and my eldest son disappeared for a couple of hours in the afternoon. Llandudno, the town, is a wonderful seaside resort. None of the chav encrusted holiday camp atmosphere of Rhyl or the Every Day is Like Sunday charm of Prestatyn, Llandudno is the first big quality resort you get to along the north coast. The busy town centre blends seemlessly into the seafront area, an ampitheatre of great rock pooling beach, bookended by two ‘Ormes’, high headlands at the tips of the horseshoe coast. A genteel air permeates the town; the candyfloss, fish and chips and tacky souvenirs, while present, are not all pervasive. A long pier extends out to the left of the seafront. 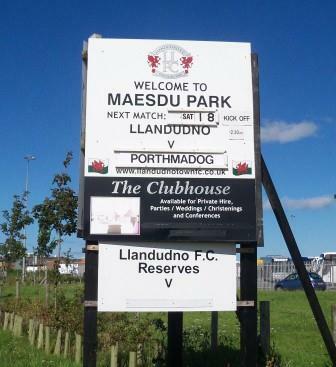 Maesdu Park only dates back to 1991, but Llandudno Town go back to 1878. 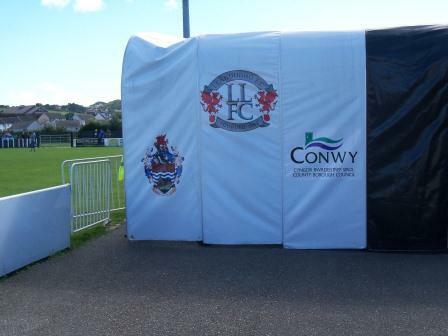 The ground has undergone major changes in recent years and is now up to Welsh Premier standard, with 1,013 seats. 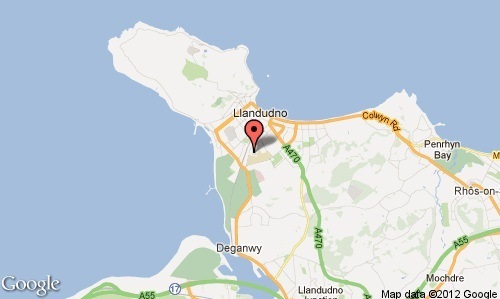 The ground is only ten minutes’ walk from Llandudno Station. Taking a right out of the station, it’s important to then take the first left on to Builder Street West, past a bus depot. Overshoot Builder Street west and approach from the other direction, and you end up having to an absolutely massive circuit round the heavily gated John Isgol school. It literally adds miles to your journey, reminiscent of getting to the away section of Vicarage Road, Watford, Circa 1990. 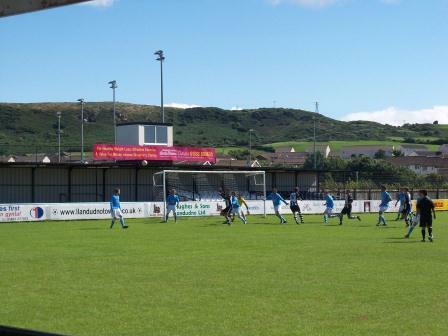 It was a warm sunny day, perfect for a picturesque Welsh ground, and it was also the first Saturday of the Cymru Alliance season; all clubs were equal, expectations were high and there was that post summer buzz that precedes the first game of the season. Llandudno had finished in mid table (8th) last season and Porthmadog in 4th, so both teams were hoping for a high placed finish. As ever with Welsh clubs, kids were free, so I just paid a fiver plus £1 for a programme. You enter behind a goal by the clubhouse, changing rooms and snack bar. A smart tunnel is wheeled out for the players’ ingress and egress. There’s seating on three sides with cover on two and a typically Welsh TV gantry in the middle. The hill backdrops were also typically Welsh. 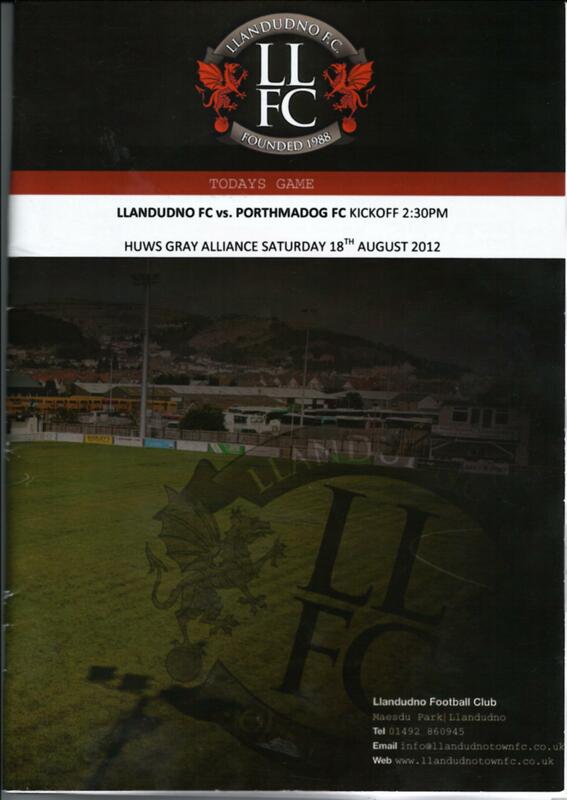 Llandudno were much the better side in the first half and took a 1-0 lead into half time – a bullet header from a corner. Portmadog came back out a changed side and were rampant in looking for an equaliser. Aaron Richmond, their skilful winger, dinked inside from the left and fizzed a shot over the keeper into the top middle for a great equaliser. Portmadog looked like they’d go on to win two or three one, but a goalkeepeing error let Llandudno back in, against the run of play. A soft 30 yarder bounced towards the Madog keeper and went through his hands. The lead didn’t last long as some 12 yard box pinball was eventually volleyed in by Williams a few yards out. A good entertaining game in an excellent venue. The Cymru Alliance providing value for money again. This entry was posted in Groundhopping, Travelog, Welsh football and tagged cymru alliance, Llandudno Town, Maesdu Park, Porthmadog fc, Welsh football. Bookmark the permalink.